Friday is hard distance day on the Pete Plan. Following the guidelines I set out for the plan this session is a free rate distanice piece of at least 5k in length, and not necessarily a flat out pb attempt every week, but a solid fast piece still. Therefore, going with my slightly conservative first week back on the Pete Plan I started at the shortest distance of 5k, and went for a pace that should be a little below maximum. The 5k felt good – fast, but never any thoughts of whether the pace was sustainable. I’m enjoying the small amount of weights I am fitting in after some of the sessions too, and hopefully will see a benefit from them. As you will no doubt have found, two new blog pages were added last night. Pimp my erg will give details, and a review, of various erging accessories. 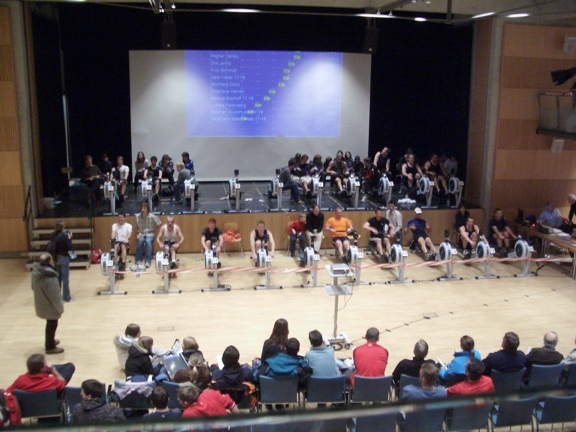 Racing will include all my past race results (that will take a while, I have raced a lot over the years), a race calendar for erg races around the world (I will make a request for people to email me with details of any races they know about), and racing hints and tips. If I get time this weekend I will also begin work on the Members area. This area will only be viewable to people following Pete Plan Coaching, and will include extra information, with members having the ability to add information themselves, and participate in discussions. I think the cold is just about gone now, but another fairly easy session today just to make sure. It is interesting to be able to look at the blog stats, where I can find out where people have linked from to get to the blog, and what has been looked at while they were here. This is useful to me to be able to see which content is popular, and which isn’t so popular. As mentioned in yesterday’s blog entry, I plan to add a section with details of the first 12 week phase of Pete Plan 2007, aimed at a 5k test. I will also be adding links to other indoor rowing related websites that I find useful, and some details of erg related accessories that I like to use. I think I will also add a racing page, detailing up-coming races, all of my past race results, and some hints and tips for those new to erg racing, or looking for something that may give that little edge. Make sure you check back to see when all these additions appear! Due to the lingering cold I decided it was wise just to back off the pace target of today’s session a little. That’s what I would advise other people to do, so that’s what I should do. It’s sometimes hard when you’re self coached to take it easier when you should, but really the main reason is that I don’t ever like to risk not finishing any session I begin. A good solid training session, and just enough off maximum that it shouldn’t damage my immune system when I want it to be working hard to get rid of the cold as quickly as possible. I did my first (for a couple of years) erg personal training session today at lunchtime (so the training above was after work). This is an element of Pete Plan Coaching that I will not really be pushing because I simply don’t have the time to do too much of it. I really enjoy proper “in person” personal training, and helping people improve to reach their goals, but it’s obviously a time consuming thing to do on top of a full time job, training, family, and other responsibilities. The guy that I coached for the first time today is very successful in his own sport, and is just moving into erg racing. He has huge potential with his background, so it will be good working with him making the most of that potential. As a gym owner and full time personal trainer himself it is a different challenge fitting the right sessions into his other commitments, but it’s always possible to maximise the training benefit whatever the constraints you’re working within. I want to make this blog into a good resource for (free) erg training information, and as such there is other content I want to add to it as I go along. Pete Plan 2007 (PP07), that I followed with a few others for the majority of last year, was very successful in the first stage working towards a 5k test, so I plan to publish that here as a stand-alone 12 week training plan working towards a 5k test. I will talk about other additions in future blog entries. I seemed to be coming down with a bit of a head cold yesterday. Sometimes this seems to be triggered by a hard session, and lasts just to the end of the day. It was still there this morning though, so I decided to take it a little easier on today’s steady distance session. Not much, and not heavy, but I think that’s the best way to start. If I’m going to launch a “Pete Plan Blog”, I really have to be following the Pete Plan. In the run up to the Munich 30min race I didn’t do any training below 5k pace for a couple of months, so now is the time to bring back in the speed work. So today I have begun back on the Pete Plan with the first session of week 1. In this blog I will try to include all the training I do, including warm up, cool down, interval rest metres, and any additional training on top of the erg work. This will give a better indication exactly how I follow the plan, and also give me motivation to actually warm up once in a while! This was a tough start back into the speed intervals work, and I picked a pace about as fast as I could have maintained today, evident from the last rep not being any faster, and the rate creep over the second half. So I’m back on the Pete Plan, and the “Pete Plan Blog”, your only official source of Pete Plan information, is born. At half way I was comfortably in second place, with first 60m up, and 3rd about 50m down. I settled at this point into believing that I wasn’t going to change position in either direction, because 60m in a 2k race would be a long way. With a reasonable finish though I pulled the lead down to 29m, with my result being 8580m, or 1:44.9 pace. The winner managed 1:44.5, so well within sight really, and a pace I was certainly capable of on the day. Of course he could have been cruising knowing I was a safe distance behind, and may well have had lots in hand. I’ll know if I race a 30min again though that a big lead can be overcome over that duration (or I’ll just try harder from the start!). 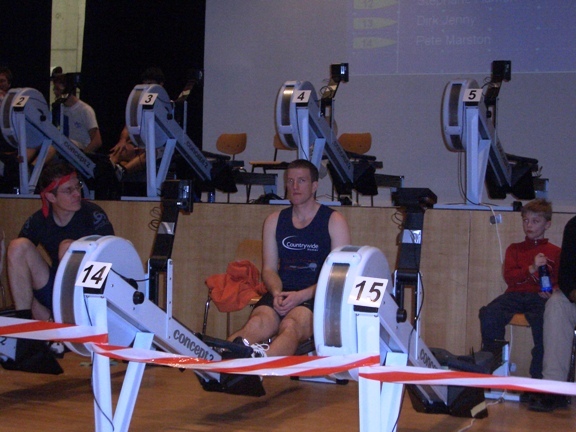 Pete Plan Coaching is an erg training service I began offering in January 2008. Up to this time I had been writing training programmes, and giving out training advice, for free. It simply got to a point where this took too much time, and I needed a way to limit the number of people who I coached to those who really want the help. Standard Pete Plan coaching – £10 per month – for people following my generic erg training plan, the Pete Plan. This level of coaching gives weekly sessions and targets by email, feedback on the previous week’s training, and other email advice as required. Individualised coaching – £20 per month – for people wanting to follow an erg training plan more tailored to their individual goals, constraints, strengths and weaknesses. Again sessions and targets are set weekly, with feedback on previous training, and other email advice and questions answered where necessary. The sessions set are fully tailored to help achieve your goals within any training constraints you have. Individual or group technique coaching is also available, with negotiable rates depending if you are following Pete Plan coaching, and where you are located.